Getting started with SSH: What do you need to know? “SSH” stands for the Secure Shell. It is both an application and a protocol. A protocol is a standard or set of common codes that disparate developers can use in order to create compatible programs without directly collaborating; an application is an executable program that performs a function. 8.1 Do I have to install an application in order to use SSH? 8.2 Is SSH only available for Unix? 8.3 Is SSH a program? 8.4 Where can I get the SSH2 definition? 8.5 Which port does SSH use? 8.6 Is there a UDP SSH? 8.8 Can I use port forwarding with SSH connections? 8.9 Can I protect email transmissions with SSH? 8.10 Can I protect POP and IMAP fetches with SSH? 8.11 Can I wrap unprotected applications with SSH? 8.12 How do I stop the connection from timing out? 8.13 How do I get meaningful error messages out of SSH? Secure Shell creates a command line environment with those commands executed on a remote computer, rather than on the computer that you are sitting at. This is a very similar operating procedure to FTP, the File Transfer Protocol. As the SSH commands are executed on a remote computer, the user has to log into that remote device in order to fully use the Secure Shell. SSH was designed as a secure replacement of rsh and rlogin, which were standard Unix systems for remote access that had no security measures. Encryption of the connection was an integral part of SSH from its inception. The original developer of SSH, Tatu Ylönen, set up a company, called SSH Communications Security in 1995. The standard was originally distributed as freeware, but the company gradually moved over to a commercial model and charged for a software implementation of the protocol. However, the framework for the protocol was already in circulation and so the developers of OpenBSD (a flavor of Unix) went back to a free version of SSH and created their own fork of it. At the same time, the Internet Engineering Task Force commissioned a protocol to be developed that codified and then adapted the original definition of SSH. Thanks to the two parallel efforts to create free versions of SSH, there are now three types of the system. The original version is known as SSH1. The IETF protocol is referred to as SSH2. Anyone can use the IETF protocol, which is available for free, as a template to develop their own implementation of SSH. SSH1 and SSH2 are also sometimes written as SSH-1 and SSH-2. The version of SSH that was created by the OpenBSD developers is known as OpenSSH. This is the basis for many SSH GUI programs that run in Windows-like environments. OpenSSH is now built into Windows as of Windows 10 version 1709. SSH is also now built into the operating systems of all Linux flavors, Mac OS, FreeBSD, NetBSD, OpenBSD, Solaris, and OpenVMS Unix. SSH Communications Security now offers a paid-for SSH client, called SSH Tectia and hasn’t allowed access to its code since 1996. The SSH1 system, which is still in circulation dates back to 1995 and it hasn’t evolved since then. If you are offered a choice of SSH versions, you should opt for SSH2 or OpenSSH. The primary use for SSH is as a safe way to connect to a remote server. This capability of SSH is actually becoming more important in the world of IT in recent years thanks to the rapid use of Cloud server space rental. Both SFTP and SCP will serve you well when you need to protect your server from attack and prevent snoopers from reading the contents of your files while they are in transit. Both of these utilities require user authentication and both encrypt data in transit. The security services are provided by SSH. If you manage a WAN and need to log into remote servers and transfer files to and from them, then you will use SSH, SFTP, and SCP regularly. The difference between SCP and SFTP is that the first is just a copy command that can copy a file to or from a remote location. With SFTP, you also get a command language that enabled you to rename, create, move, or delete files on the remote server and also create and delete directories. You don’t get those abilities with SCP. However, as the basic SSH command language includes all of these functions, you could quite easily work well with a combination of SSH and SCP available to you. VPNs are popular for getting past regional restrictions on websites. Regional restrictions are particularly prevalent on video streaming websites and they prevent people from getting access from overseas. Unfortunately, many governments oppose the use of VPNs and try to block them. You can protect your VPN traffic with SSH. In short, SSH offers a good way to protect any type of transaction that you want to perform over the internet. SSH is probably built into your operating system. To check, open a terminal window and type ssh at the prompt. This is not the right way to use the utility because you are supposed to add parameters to the command. However, if SSH is available to you, the result of the command will be a response showing the structure of the command. If you don’t have SSH on your Unix, Mac OS, or Linux system, you could install OpenSSH, which is now available for just about any operating system. If you want to install it on Windows, you also need to install Cygwin to emulate Unix on your computer. This includes SCP and SFTP. However, the interface is not so user-friendly and there are much better SSH servers available today. There are a lot of very good SSH interfaces available on the market right now. These apps are a lot easier to use than the command line utility. So, if you don’t want to have to go to the command line to use SSH, or you just don’t have SSH in your operating system, you will find that one of these easy-to-use SSH systems will be the answer. ZOC is an option for you if you want to access remote computers securely with SSH from a Mac. The tool will run on Windows as well as on Mac OS. This utility combines a terminal emulator for direct access and SCP for file transfers. The tabbed interface enables you to access several open sessions and the Options screen gives you options over which terminal emulation standard you can use. ZOC is able to implement the TN3270, TN5250, VT220, Xterm, VT220, Wyse, and QNX terminal emulation standards. Businesses have to pay for ZOC, but you can get it for free for home use. This SSH facility runs on Android devices, so you can securely access remote computers as you travel around. This is a great tool for checking in with your work computer or your computer at home. 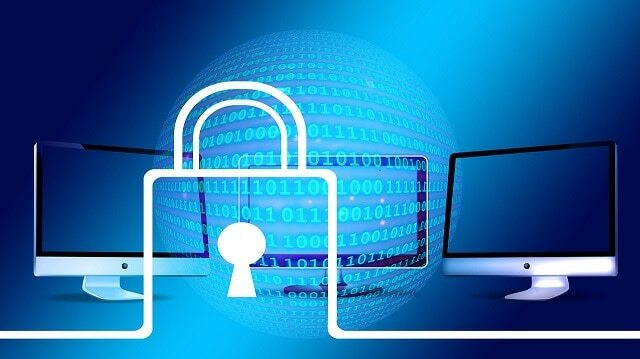 The ability to securely access other computers gives you the opportunity to greatly expand your use of mobile devices with limited storage. This is also a good facility for BYOD policies and companies. This is because the SSH involvement imposes user authentication and the encryption used on connections makes up for the security weaknesses of external wifi systems. JuiceSSH is particularly good for protecting all activities on your Android device, even those that execute automatically in the background. This feature was built specifically with Cloud syncing in mind, so you can access files on cloud servers and even work on copies offline when you are in areas that have no internet service. You can download and install JuiceSSH for free from Google Play. If you want an SSH client for iOS, probably your best option would be Termius. This isn’t the only SSH client system available for iOS and probably not the best — Prompt 2 probably has that distinction. 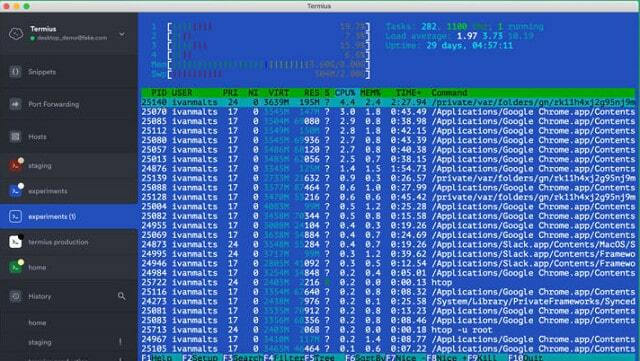 However, Termius is one of the very few SSH clients that you can use for free. This utility allows you to connect to your home computer or work even over public wifi networks because it includes full connection encryption and user authentication before you can access the remote computer. The SSH client can connect to any other operating system. Termius also includes Mosh, which is an alternative secure connection system for iOS devices. Termius will cover syncing functions to cloud servers and it also includes an SFTP implementation to cover your file transfers. Termius is available for Windows, Linux, Mac OS, and Android. You can use the app for free on one device. That version doesn’t include SFTP or secure syncing, though. The paid version is very cheap and is paid for on a monthly subscription. That plan allows you to run the app on as many devices as you like, and it includes all of the Termius features. 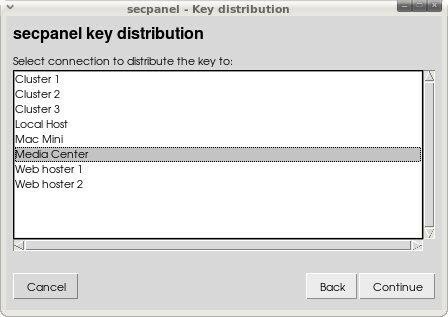 SecPanel is a free SSH client for Linux Gnome environments. This tool offers a GUI interface that makes accessing a remote computer a much easier experience than using the Linux command line free tool. SecPanel doesn’t implement SSH; it is a front-end to access the native SSH version that is built into the Linux operating system. It uses the free OpenSSH system. The SecPanel interface is uncomplicated and it doesn’t have the multiple connection tabbed format that other SSH utilities offer. However, the benefit of this is that the program has a very small footprint and doesn’t use much memory or CPU. The SecPannel interface also gives you access to SCP and SFTP to give you secure file transfer capabilities. SolarWinds Solar-PuTTY is a great terminal emulator and a good choice for those who need to gain access to remote computers regularly and need SSH security protection. The tool is a product of SolarWinds, which is one of the world’s leading producers of system administration tools. The terminal emulator window allows you to connect multiple sessions in the same interface. The console is tabbed, so you can switch from one session to another by clicking on a tab for each. The application is able to maintain connections to several different remote computers simultaneously. The tool includes implementations of SCP and SFTP, so you can use it to transfer files to remote computers as well as access them. The attractive presentation of the application is easy on the eye and will help you automate your administration tasks by supporting script transfer and execution. The Solar-PuTTY application installs on Windows environments and you can get it for free. The commands available in SSH are very similar to the standard Unix commands. In fact, in most cases, they are exactly the same. If you are unfamiliar with working at the command line, you are more likely to access SSH through a Windows-like console. Most graphical interfaces for SSH offer point and click interpretations of the standard commands. However, SSH is available as a command line utility and even on Windows computers; you will need to use these Unix-like commands within the SSH environment. It is useful to have a list of SSH commands in order to get greater control over the tasks that you can perform on a remote computer with SSH. rm: delete a file, e.g. rm afile.txt. Use a wildcard to delete several files at once, limited to deleting all matching files in the current directory, e.g. rm *.txt. You can delete files in a different directory as long as you have permissions for that folder, e.g. rm /usr/bigbob/note.txt. You can also use a wildcard to remove many files in a remote directory. du: disk usage. Use -sh to get the total disk usage of the current directory. Try -sh * to get the disk space used by each element in the directory, e.g. du or du -sh *. file: names the file type. Can be used with a wildcard to get a list of all files in the current directory, e.g. file afile.txt or file *. find: list all instances of files or directory that match a given criteria, e.g. find / -name “afile” finds all files on the computer with the name “afile,” find * -d lists all directory names on the computer. w: show all users currently logged in and where they logged in from. 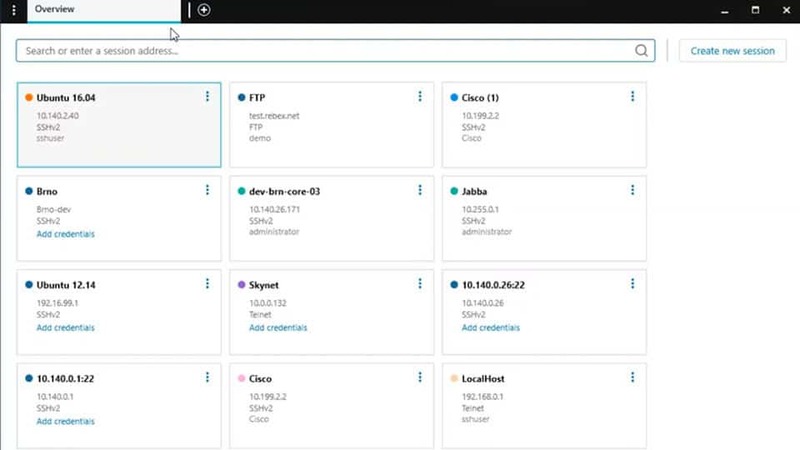 top: shows live system processes. While the display is current, use Shift-M to order by memory usage or Shift-P to order by CPU usage. ps: process status. This shows currently-running processes and their process identifiers (PIDs). Use option U to list all live processes for a given user, e.g. ps U bigbob. Use aux option to see all system processes, optionally in a hierarchy if the – forest option is added, e.g. ps aux or ps aux – forest. kill: stop a system process. You can add a “signal,” to make the order stronger. There are several options for this parameter, but the strongest is 9. You need to give the PID of the process that you want to kill and you can get that by running ps or top, e.g. kill 492 or kill -9 492, where 492 is the PID of the process that you want to terminate. grep: identifies a text string in a file or files, e.g. grep aword /usr/bigbob/*.txt. Use -v option to show all lines in a file that don’t contain the pattern, e.g. grep aword afile.txt. vi: a very well known text editor that was originally written for Unix. 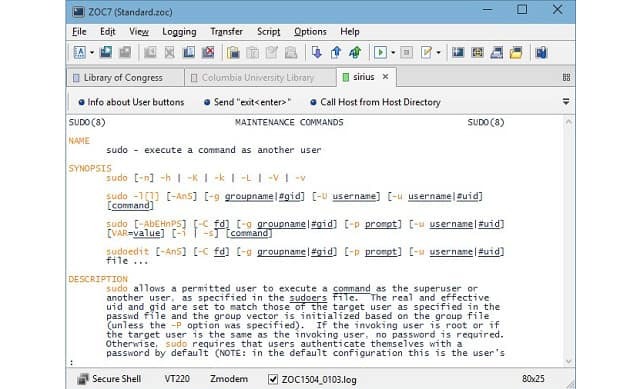 Entering the command opens up an environment that includes its own command language. nano: a simple editor with its own environment. As with any networking facility, SSH doesn’t always work out of the box. There are settings on other equipment and software running on your network that can interfere with the performance of SSH or even block it. So, you may need to troubleshoot connection failures and delays. The clarity of information that you get from error messages greatly assists in getting to the root cause of the problem. However, some applications are not built to assist end users and subsequently, their developers don’t think it’s a valid use of their time to add clarity to error reporting. Unfortunately, SSH is one such application. The most generalized error message that you are likely to face with SSH is “Connection Refused.” Faced with this blank wall, you are going to have to investigate all of the settings of your network and the server that you are trying to connect to in order to get SSH working. The SSH client should report back with a more meaningful error message. However, the software you use might not be the most comprehensive implementation of the protocol. The first three errors relate to your account on the server that you are trying to connect to. The first solution to the problem of “Access Denied” or “Authentication Refused” is to make sure you didn’t make spelling mistakes when entering the username and password. Other reasons for these authentication errors relate to the account. The system administrator might have canceled your account, or changed the password for you. So, if you are sure that you haven’t made a typo, contact the administrator of the remote server to check on the status of your account. “Remote host identification has changed” refers to the SSL security certificate of the server. Note that the message doesn’t say that the certificate is invalid. If you run the remote host, you will know whether the certificate has been changed. If you are trying to connect to someone else’s computer, check with the administrator if the host has a new security certificate. If it does, just accept the error message and allow connections to continue. It is worth verifying the certificate change rather than just accepting the warning blindly because this message is there to alert you to a possible “man in the middle” attack. The remaining four error messages in the above list all relate to some point of failure between the SSH app on your computer and the remote server, which means that you need to look at every hardware and software element that provides the connection. “Port 22: Connection refused” is a catch-all error message that expands only slightly on the straight-forward “Connection Refused” message that some clients display. Basically, you are going to have to check everything in order to find the cause of this error. The three “Network error” messages give you more to work on. In all of these cases either your computer or the remote host timed out and closed the connection, or there was an interruption in the internet service. If the connection dropped because of errors on the line, then there isn’t much you can do about the problem other than just reconnect. A timeout is more likely to be caused by inactivity on the connection. Look for a “keepalive” option in your SSH interface to prevent this problem from occurring. The message “Write failed: broken pipe” is also a timeout issue. The good news about these errors is that they don’t signify a serious problem. You just need to connect again. IP address conflict: run arping, arp -a, or arp-scan to search for duplicate addresses. Firewall block: list SSH as a permitted application in your firewall policy and/or allow traffic to port 22. Server unavailable: check that the remote host is actually live either by connecting to it through a different application or by contacting the server administrator. Server port error: the SSH daemon on the server may be experiencing problems; try to connect to port 22 on the server through the SSH server connectivity test site. SSH port error: use netstat to make sure that sshd is functioning and listening on port 22. If it is listening on any other port, kill the process and check the port settings in your SSH interface. SSH daemon error: if the daemon isn’t working, shut down your SSH application and open it again. If the SSH daemon still isn’t running, reinstall your SSH applications. If none of the above quick solutions work, you need to examine whether just the traffic from your SSH application is being blocked or whether there is a general network error. This could either be on your own network or on the internet connection from your computer to the server that you want to contact. Do I have to install an application in order to use SSH? You need to have an SSH program on your computer and it isn’t automatically available with all operating systems. However, it is built into Windows 10, all Linux flavors, Mac OS, FreeBSD, NetBSD, OpenBSD, Solaris, and OpenVMS Unix. If you don’t want to use an application with a GUI front end, you could install OpenSSH instead. This is a free protocol, which is actually the SSH implementation that is built into those operating systems. You can interact with its program elements from your own custom programs. Is SSH only available for Unix? No. There are implementations listed in this guide that work with Windows, Linux, Mac OS, iOS, and Android. The Original OpenSSH was written for OpenBSD Unix, but there is also a Portable version that will run on Windows, Linux, and Mac OS. No. SSH is a protocol, which means a set of guidelines. It can be implemented by individuals as long as they follow the rules laid out in the protocol when they write the program. Most implementations create a suite of programs, each of which fulfills a function of the protocol. When you run an SSH application on your computer, a check of running processes will show you several SSH programs running. Where can I get the SSH2 definition? The specifications for SSH2 are available for free from the Internet Engineering Taskforce websites. You will find a collection of documents at that site that relate to the SSH2 protocol. However, the key document is RFC 4251. Which port does SSH use? SSH has been assigned TCP port 22. Is there a UDP SSH? There is no UDP equivalent because SSH needs the session establishment procedures of TCP. If you need to put a drive identifier at the beginning of a file path (e.g. “C:\”) you will run into trouble with SCP because the colon is a special character for that utility. So, you need to switch to that drive before running the scp command. If you need to specify a different directory to the one you are in, use relative file paths rather than an absolute path originating with the drive letter. Can I use port forwarding with SSH connections? You need to make sure that the SSH daemon is active on the remote server in order to run SSH port forwarding. You also need to check that your SSH implementation allows you to specify a non-standard port on startup. This will be in the form of a -D command line option, which allows you to tag a port number onto the destination address, separated by a colon. This will force the connection to switch to a non-standard port when connecting to the remote computer. Can I protect email transmissions with SSH? You can establish a link with your correspondent’s email server on SSH and then pipe the email messages down it. However, your mail’s text will still be unencrypted while at rest on the server and the fetch phase from the email client will not be covered by your SSH connection. It is better to choose an email provider that includes end-to-end encryption. Can I protect POP and IMAP fetches with SSH? You can wrap email fetches from the mail server to the mail client on your computer if the mail server is running an SSH implementation – this is not standard with most email providers. which is also referred to as ‘tunneling.’ This method also will not protect your incoming emails when they are resident on the email server. In addition, it will not cover the journey of your incoming emails from the senders to your email server. Can I wrap unprotected applications with SSH? If the remote server can implement a pause function, such as sleep(), you can start up an SSH tunnel at the command line without entering the SSH command environment. You can then set your second application running through the same local port that you specified in the SSH launch command. The sleep option gives you time to type in the second command before the initial connection times out for inactivity. In order to control which local port the encryption will run through, you should use the -L option on the SSH command. This option allows you to specify both the local port and the remote port in the format <local port>:<destination IP address>:<remote port>. How do I stop the connection from timing out? You can keep an SSH connection open through a “keep alive” command. In OpenSSH this is implemented in the config file of either the server or the client. On the server, you should enable ClientAliveInterval in the file called sshd_config or on the client, enable ServerAliveInterval in the ssh_config file. How do I get meaningful error messages out of SSH? Use the verbose mode. This is the -v option that you add to the command. So, for the client, use ssh -v and for the server, run sshd -v. For SSH2 use -d2. The SSH daemon on the server you are trying to connect to isn’t running. Another possibility is that it isn’t listening on the standard port, or it isn’t listening on the port you specified for the connection. Go to your config file and set CompressionLevel to a number from 1 to 9. SCP expands out wildcards on the local machine before sending the command, so you won’t be able to use wildcards to refer to groups of files on the remote computer without escaping them. Escaping the wildcard prevents its interpretation locally. Once you have chosen an SSH implementation, you will need to become familiar with the way that interface works. Many SSH application producers build in a few extras to give their product a distinction in the marketplace. You may find that it is these extra features that make you grow dependent on that one SSH interface and lose interest in continuing your search through all the available products. Look out for free applications and free trials of paid SSH servers so that you can try out a few options before you settle on one specific server. Do you have a favorite SSH application? Leave a message in the Comments section below to share your experiences. Image: Security binary code from Pixabay. Public Domain.